When people think of probiotic drink recipes or healthy drink recipes, they often think about kombucha, jun, kefir or natural ginger ale. While these may have their health benefits, none are quite as strong in my opinion as this Immune Boosting Elixir. 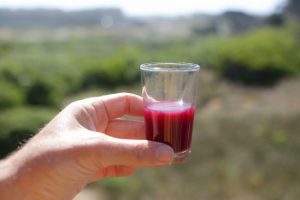 There is a wonderful probiotic product I’ve been seeing lately by Farmhouse Culture which is, essentially, sauerkraut juice. This is my own variant of a “Gut Shot” recipe which which I believe to be particularly health-affirming. To make, simply follow the Immune Boosting Sauerkraut recipe. Be sure to add an extra cup or so of water to the sauerkraut when making it so you’ll have some residual liquid to later bottle and drink. 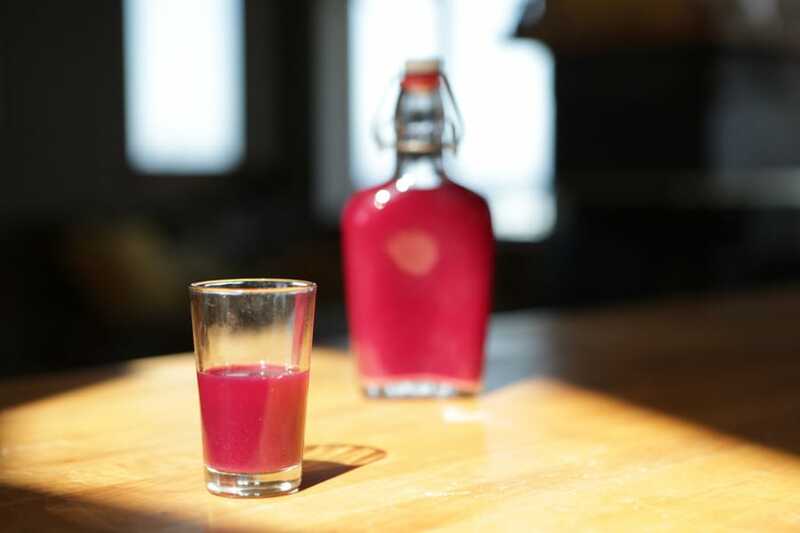 You’ll want to let that sauerkraut ferment for a little longer period of time, just to give the drink a chance to be further infused by the ingredients. If you have enough liquid in your sauerkraut, you’ll end up with a drink that you can bottle and enjoy at your healthy leisure. Whatever your healthy drink of choice, as the French say when clinking their wine glasses together, “Sante!” – To your health! If I add extra water should more salt be added so it’s not too diluted? Maybe a 2% salt water solution? I’m definitely making this the next time I feel any sort of sickliness coming on! Thank you for sharing, I definitely need a tonic like this in my life! I love red cabbage kraut, but I had to get used to pink “cheese” since I use the liquid as a starter for my cultured nut cheeses. The last red kraut I made for the holidays had beets, blueberries and cranberries in it, tons of antioxidants and what a color! That sounds like an amazing antioxidant cocktail! Curious, did you put the cranberries in whole or did you break them up? Did you like how it came out. I’ve continued to experiment with cranberries in ferments, but am still looking for that perfect magical combination.